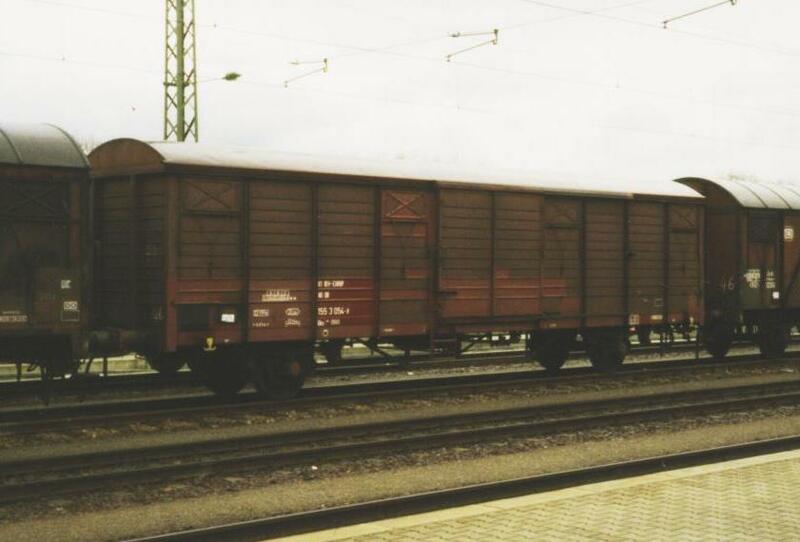 DBCargo freight car 01 80 155 3 446-6 Gbs258 (RIV-EUROP) in Graz Hbf. 2002-06-09. 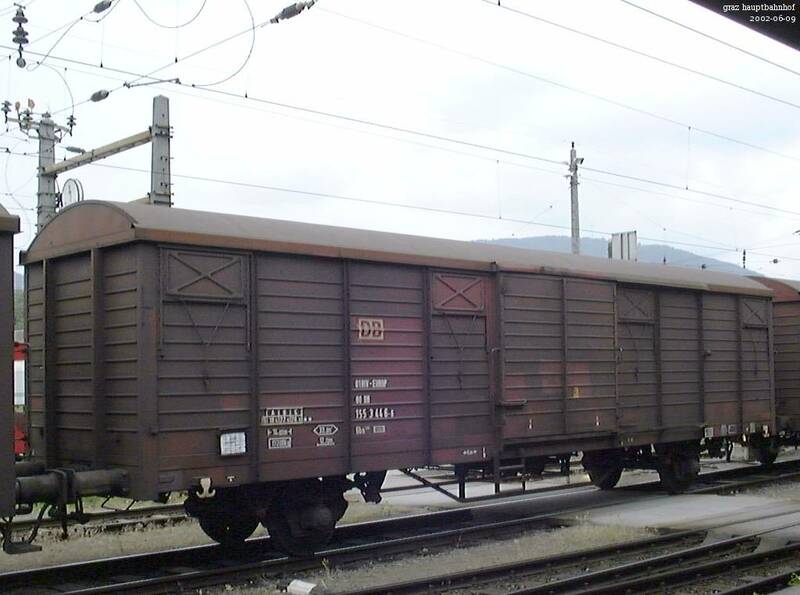 DBCargo freight car 01 80 155 6 308-5 Gbs264 (RIV-EUROP) in Graz Hbf. 2002-06-09. 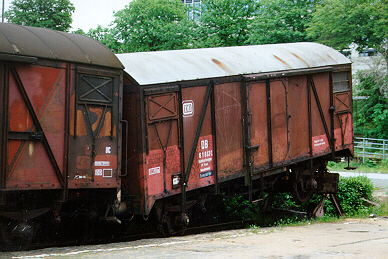 Gbs255 "Gerätewagen gehört zu Uaai838" with registration-no. 46 80 1555454-5 [P] D-NCS was parked in Gladbeck-West on 6th of November 2011. 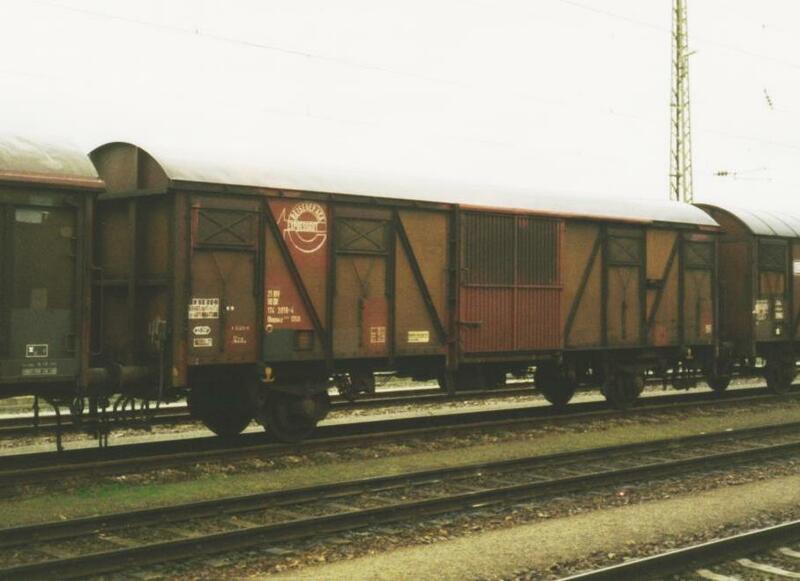 The freight-waggon 260695 of type Gmhs54 by former DB is in use for storage purposes into Bahnbetriebswerk Krefeld. Here parked between turntable and engine-shed on 6th of March 2011. 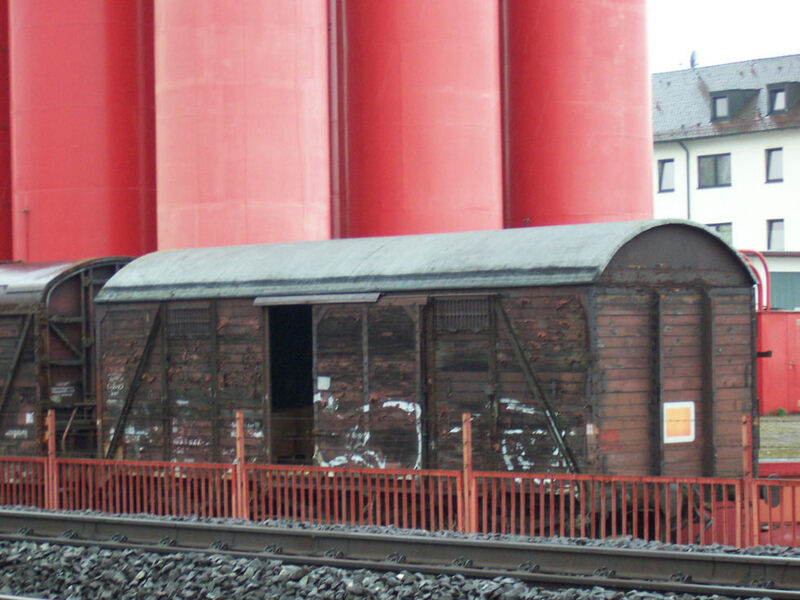 Old DB Boxcar class G seen on the site of the Eisenbahnfreunde Kraichgau at Sinsheim. 628 437 DMU and old semaphore signal 'Hp 0' seen behind. Photo taken Sunday 17 August 2014. 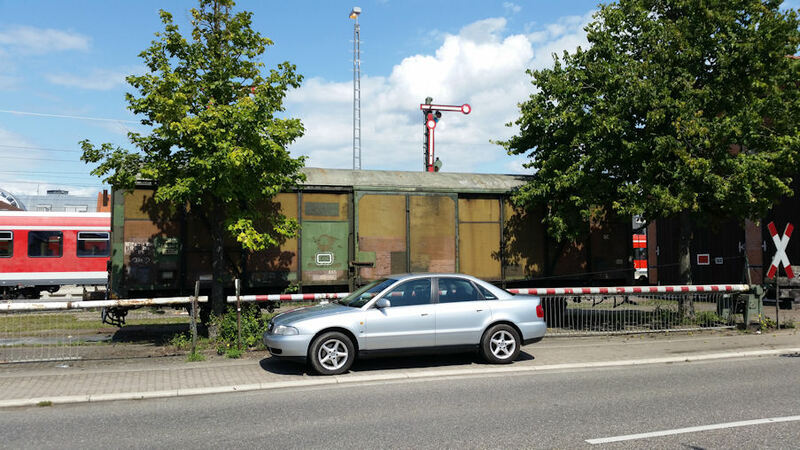 Gedeckter Güterwagen der DB AG, Gattung Gbqss-z267 , Nr. 21 50 174 3 019-4, noch mit DR-Anschriften und einem Zeichen "Reisegepäck - Expressgut"
Der ehemalige Gm39 (103 1 922), ausgemustert 1972, auf dem Gelände der Firma BIG in Stadeln bei Fürth, am 05.04.2005. 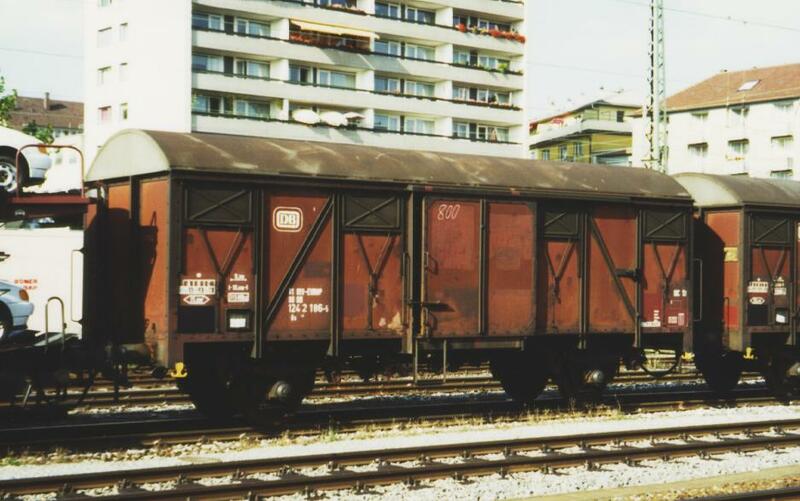 A Gs210 boxcar parked on the loading track of Zollhaus (Nassau). Car label: Bahnhofswagen 61 488-3. Station building of Zollhaus on the right. Photo taken Wednesday 23 February 2011. 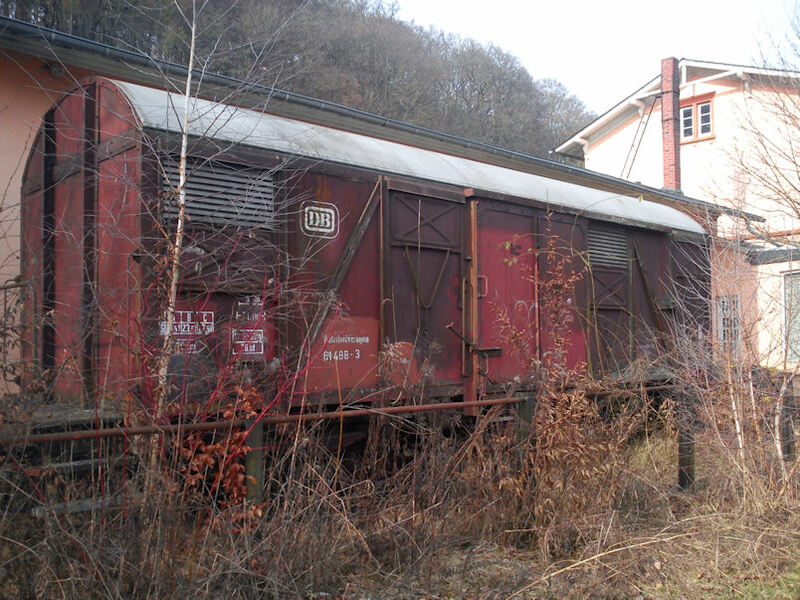 Boxcar class G numbered 40 80 9455 872-8 seen next to the South German Railway Museum Heilbronn. 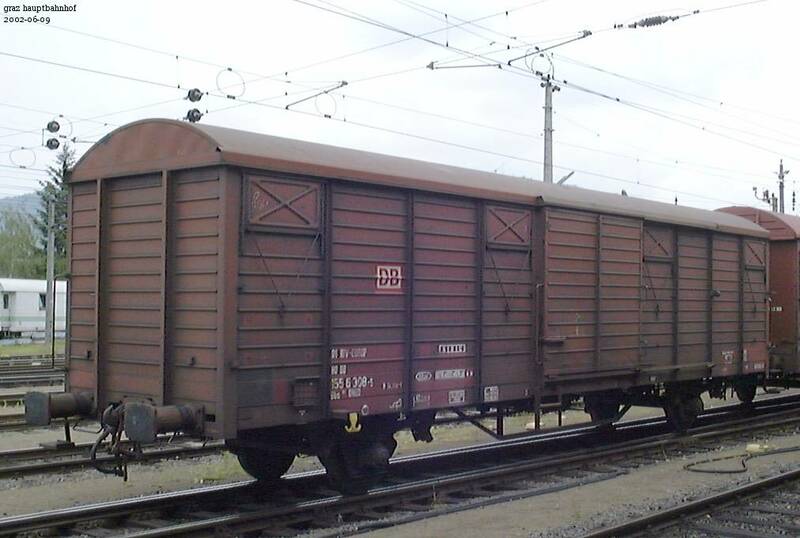 It seems to be used for transporting or storaging of heating oil. 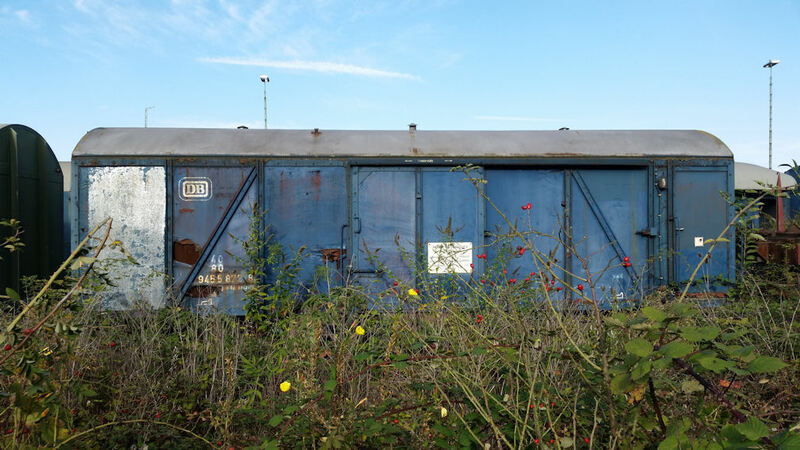 Photo taken Monday 29 September 2014. 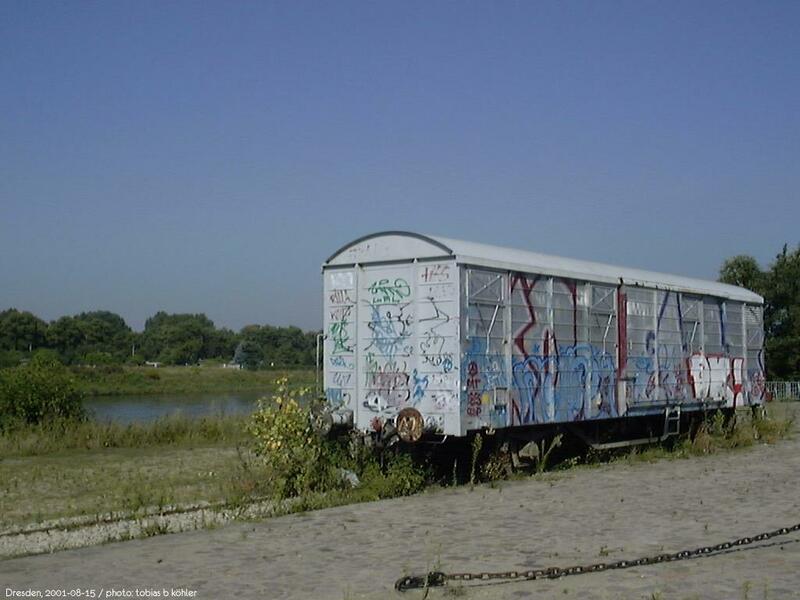 A new one to save the waggons in germany. This picture is made in Darmstadt, 23.Mai 1994.